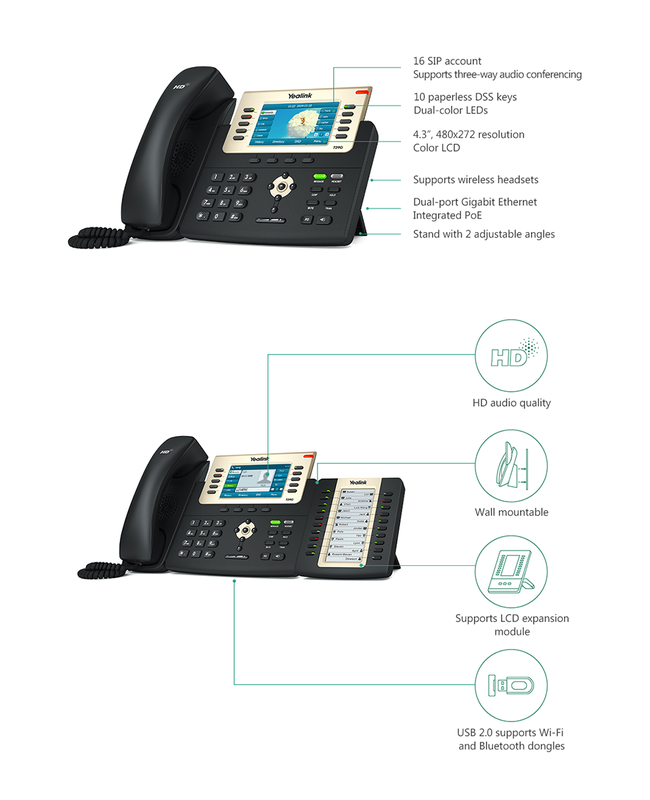 SIP-T29G IP Phone is the most advanced model in the Yealink T2 IP phone series. It has a high-resolution TFT color display and delivers a rich visual experience. It adopts Yealink Optima HD technology which enables rich, clear and life-like voice communications. The phone also supports Gigabit Ethernet and a variety of device connections including EHS headset and USB. With programmable keys, the IP Phone ensures vast productivity with enhanced features.